Can I get a DUI for sleeping in my car? - Answer from MyDuiAttorney. 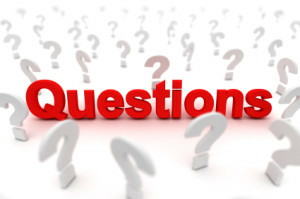 Home › Questions › Can I get a DUI for sleeping in my car? Can I get a DUI for sleeping in my car? Most drivers know that they can be arrested for driving under the influence of alcohol or drugs if they are operating a vehicle with a blood alcohol concentration of 0.08% or higher or if they are unable to safely operate their car, regardless of the level of their BAC. What many drivers do not know, however, is that they may be arrested for DUI even if they are not actually driving the vehicle. As mentioned above, all states prohibit operating a car while intoxicated, but state laws can vary with respects to whether a driver can be charged with a DUI while the car is parked. For example, some state statutes clearly address when someone is behind the wheel of a parked car; other states do not have clear statutes. With this in mind, it’s always good to talk to a DUI lawyer familiar with the laws in your state if you have been arrested for DUI. What will the state need to prove for DUI? To prove DUI the prosecution must prove you had actual physical control of the car while you were intoxicated. This generally does not mean, however, that the car had to be moving or that you had to be driving. For example, if you stopped at a convenient store, went in to buy beer, and came back out- keys in hand- you could be arrested for DUI (assuming there was probable cause for the arrest) even if you were not driving the car at the time of the arrest. In this case, the state could present evidence that you were intoxicated at the time you actually had physical control of the car (i.e., before you entered the store). Other evidence that could be offered by the state to convince them you had actual physical control include the following. The police do not have to witness you driving while you are intoxicated. In fact, if they have evidence that you are intoxicated and you admit to driving the vehicle this could be enough to convince them you were driving under the influence. Eye witnesses can provide testimony to the police if they see you operating a motorized vehicle. For example, if you are involved in a car accident, even if you decide to slide into the passenger seat, witnesses of the accident may provide testimony that you were actually the driver at the time of the wreck. If there is no eye witness testimony and you are the only one present at the scene of the accident, police may also gather evidence (i.e., insurance records or ownership papers) and determine you are the owner of the car in question. Additionally, if you are standing by the wrecked car with the keys in your hand, the police are likely to assume you were driving the wrecked car. Now, you specifically asked about a DUI arrest in a parked car. 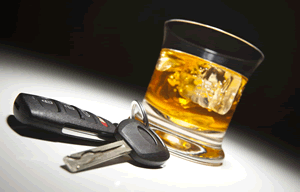 Although the police may have a tougher time getting a DUI conviction, it can happen. They may rely on evidence gathered to prove you were operating the car. Evidence could include eye witness testimony, the location of the keys, whether the car was turned off or on, whether you admitted to driving to the parking lot, and whether you were sleeping in the driver’s seat or in the back seat. Whether you will be charged with DUI for sleeping in your car will depend on your state’s laws and all the information provided above. Talk to a DUI lawyer.